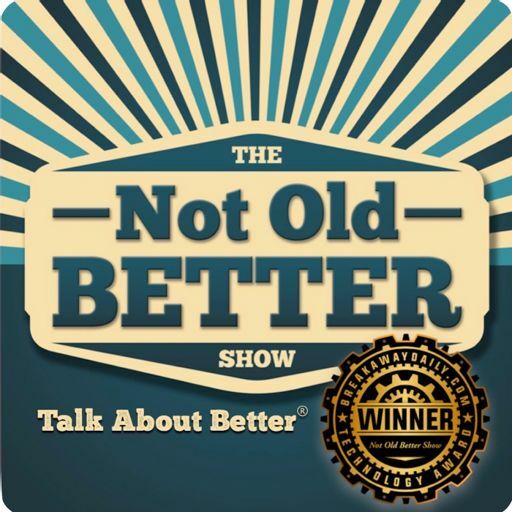 Today’s Not Old Better Show is part of our Fitness Friday shows, and it’s another great one in our Fitness Friday series. We’ll be hearing from returning guest, Sabrena Jo, who’ll join us in just a minute. But, by way of introduction, Sabrena Jo, of course, is a favorite with our Not Old Better audience and is the American Council on Exercise, Director of Science and Research Content. Sabrena Jo will be here to share important information about new research that answers questions about cardiovascular exercise, weight training, flexibility, and how all that impacts function, also known as balance, to avoid falls. You know, for many of us in the Not Old Better audience, we want to live longer, and live better lives. Research suggests that adults older than 50 who do not perform resistance training lose nearly 1/4 pound of muscle mass per year. And strong leg and hip muscles help to reduce the risk of falls, a cause of considerable disability among older adults. So, how to keep motivated and aim to participate in resistance training at least two days per week, making sure to exercise all major muscle groups through a full range of motion. To help maintain your mobility and range of motion and decrease your risk of injury. Sabrena Jo, from the American Council on Exercise will explain how best to do this, why we need to prioritize this type of exercise into our schedule, and to look at your time ahead as a chance to be an active senior with an opportunity to do things you have never done before. Most of all, enjoy yourself! Let’s unpack this research and more, so let’s welcome back to the program, ACE Director of Science and Research Content, Sabrena Jo.